Online registration is now open at http://www.sneb.org/register. Reserve your accommodations at the conference hotel or student housing at http://www.sneb.org/events/accommodations.html. Watch for these special notes when you register. President Joanne Ikeda announces SNEB will be recognized as a guest society at American Society for Nutrition's Scientific Sessions and annual meeting at Experimental Biology 2014. The meeting will be April. 26-30 in San Diego. The Dietary Guidelines Alliance has released an updated digital edition of the It's All About You Communicators Tool Kit, a teaching tool to help nutrition communicators convey positive, simple and consistent nutrition and health messages to consumers. If you were not able to attend the webinar, a recording is online here. Latest JNEB podcast — listen and learn! Interview: Falon Tilley and Michael W. Beets discuss the successful implementation of the Healthy Lunchbox Challenge, an innovative theory and incentive-based program, at four large-scale, community-based summer day camps. They observed significant increases in the amount of healthy food brought by children, as well as decreases in untargeted foods such as sugar-sweetened beverages and salty snacks. The Healthy Lunchbox Challenge may help increase the amount of healthy foods consumed by children, decreasing the consumption of sugar-sweetened beverages and salty snacks, according to a new study in the Journal of Nutrition Education and Behavior. A study has found that 59 percent of students at Western Oregon University have faced food insecurity at some point in 2013, raising questions of the general financial stability of college students and its impacts on academic achievement. The report, which published in the Journal of Nutrition Education and Behavior in January, states it is a measure of economic hardship and financial stability of a household. Attendance earns 1 CEU. If you'd like to be registered for all sessions, email rdaeger@sneb.org. If you're 60 and older, every additional hour a day you spend sitting is linked to a 50 percent greater risk of being disabled — regardless of how much moderate exercise you get, reports a new Northwestern Medicine study. The synthetic chemicals used in the packaging, storage and processing of foodstuffs might be harmful to human health over the long term, warn environmental scientists in a commentary in the Journal of Epidemiology and Community Health. Although maintaining good blood sugar control is crucial for avoiding complications of diabetes, it has been estimated that only about half of patients are successful in meeting target blood glucose levels. The prevalence of depression among diabetes patients — up to twice as high as in the general population — can interfere with patients' ability to manage their diabetes. Watch the latest in AASA's Courageous Leadership Conversation video series featuring Dr. John Skretta, superintendent of Norris School District in Firth, Neb., as he discusses the important role nutrition plays in fulfilling the mission of his school district. Watch the video. The Food and Nutrition Service (FNS) would like to make you aware of an important new tool which is available to assist program operators with the July 1, implementation of the interim final rule titled, "National School Lunch and School Breakfast Program: Nutrition Standards for All Foods Sold in School as Required by the Healthy, Hunger-Free Kids Act of 2010"
Secretary Tom Vilsack recently announced 76 grants totaling more than $35 million to support research, teaching and extension activities at 1890 Historically Black Land-Grant Colleges and Universities through the U.S. Department of Agriculture's National Institute of Food and Agriculture. The National Institute of Arthritis and Musculoskeletal and Skin Diseases has created a series of free multicultural health planners for 2014, titled A Year of Health: A Guide to a Healthy 2014 for You and Your Family. These planners, tailored for four multicultural communities (African-Americans, American Indians/Alaska Natives/Native Hawaiians, Asian-Americans/Pacific Islanders, Hispanics/Latinos), provide research-based health tips and information about staying healthy and managing conditions of the bones, joints, muscles and skin. The National Farm to School Network is excited to release a set of new farm to school and farm to preschool training materials developed by and for key stakeholder groups including farmers, child nutrition directors, educators and early care providers. Each training template consists of a customizable slide deck, speaker notes, handouts and an evaluation form. Anyone can use these tools to conduct effective trainings and share the value of farm to school in communities across the country. New study: Worldwide spread of a standard globalized diet is putting more food on the dinner table, but at the expense of diverse local crops; global uniformity heightens the risk of food crises due to climate change. The Art & Science of Health Promotion Conference brings together more than 600 like-minded professionals with a passion for health promotion — individuals who represent the most successful programs in workplace, clinical, educational and community settings. This is your opportunity to meet them, learn from them, share experience, connect and collaborate. Children's food allergies are gradually increasing, but they may be as much as doubling among black children. According to a study published today in the March issue of Annals of Allergy, Asthma and Immunology, the scientific publication of the American College of Allergy, Asthma and Immunology, self-reported food allergy nearly doubled in black children over 23 years. A new study published in the American Journal of Lifestyle Medicine addresses the common call to action from public health experts to improve access to and consumption of fruits and vegetables. Findings from the Michigan State University study show that canned foods deliver on nutrition, affordability and safety, helping people increase their fruit and vegetable intake, regardless of geography or income level. With nearly 32 million American students receiving government-subsidized meals every day, getting children the nutrition they need is a priority for schools as well as legislators. In the fall of 2012, revamped school lunch guidelines from the U.S. Department of Agriculture went into effect. New standards necessitate increased availability of whole grains, fruits and vegetables, require students to select either a fruit or vegetable as one of their lunch items and mandate larger portion sizes for fruits and vegetables. Know a kid who loves to cook? Tell them about this nationwide recipe challenge now! Together, with the help of their parents, children ages 8 to 12 years old are invited to submit an original lunch recipe inspired by MyPlate. They could win the chance to attend the Kids' "State Dinner" hosted by First Lady Michelle Obama at the White House in Washington, D.C. Entries must be received by April 5 for a chance to win. 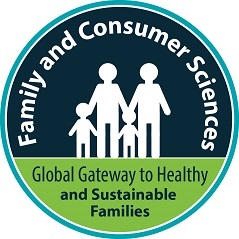 We extend a warm invitation to our friends and colleagues in the Society for Nutrition Education and Behavior to join us for the 2014 Wisconsin Association of Family and Consumer Sciences (WAFCS)-Wisconsin Council on Family Relations (WICFR) Joint Conference. This event promises to be more than just a conference; it's an engaging professional and personal experience with great value for attendees. Join us for this unforgettable event!